Architecture-centric software generation has the potential to support flexible design and large-scale reuse. 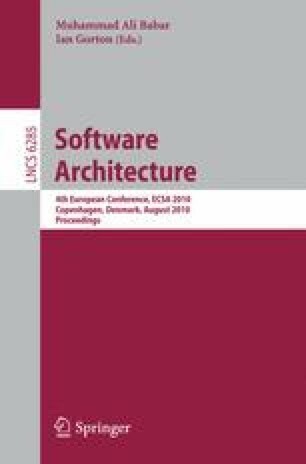 This paper describes the development of an architecture-centric framework that consists of multiple architecture alternatives, from which the architect can select and generate a working prototype in a top-down manner through a user interface rather than building it from scratch. The framework is primarily built with well-understood design patterns in distributed and concurrent computing. The development process involves extensive domain analysis, variability management, and bottom-up component engineering effort. The framework enables the architect or designer to effectively conduct upfront software architecture analysis and/or rapid architectural prototyping.